For employers, there has been a monumental shift in the healthcare marketplace from higher cost, traditional plans to high deductible or consumer directed health plans (CDHP). Between 2007 and 2018, CDHP adoption has increased 264%. CDHPs and health savings accounts (HSAs) allow employers to save on premium costs and taxes while empowering employees to become more educated and involved in their healthcare decision making. As these plans continue to grow in popularity, adoption and implementation, it’s important for employers to properly position CDHPs and HSAs with employees. With so much misinformation around, employees may be confused and apprehensive about enrolling in these types of plans. Here are a few ways to help your employees embrace consumer directed health plans. HSAs are by far the best benefit of a CDHP. HSAs allow employees and their families to set aside pre-tax dollars1 to use for qualified medical expenses, such as prescriptions, doctor office visits, dental care and even deductibles. In 2019, contributions can be made by the employer or employee of up to $3,500 for individual coverage and up to $7,000 for families. Unlike other savings accounts, HSAs are a powerful savings vehicle that are owned by your employees. 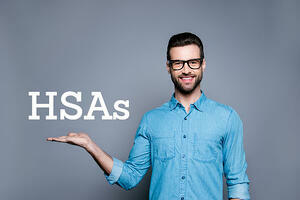 An HSA is portable and unused funds never expire. Employees who carry a certain balance can invest2 a portion of their HSA funds in market-based investments like index funds for tax-free earning potential. HSAs can also act as a medical retirement account for qualified expenses to help cover the mounting healthcare fees in retirement. Employers benefit when employees contribute to their HSA through pre-tax payroll deductions, which saves the employer their portion of FICA taxes (7.65%). To truly create a win-win situation, you can offer a match of your employees’ HSA contributions to incentivize them to save for healthcare costs now and in the future. Recent studies have found that CDHP enrollees are actually more cost-conscious, savvy healthcare consumers. This is due in part to the ownership mentality of CDHPs and HSAs. When consumers view their healthcare with an ownership mentality, their decision-making shifts and they become more cost conscious when comparing prices on prescriptions, doctor visits, dentists, etc. Any employee or employer matched contributions are owned by the employee. When consumers understand that ownership principle they become more empowered to take responsibility for their financial future. The ownership mindset is important for your employees, but they also need to understand the reality of healthcare and retirement challenges ahead of them. Healthcare costs in retirement are estimated to be over $400,000 for a couple retiring today. And, that’s just for healthcare. What does their retirement outlook look like? Have they considered the healthcare expenses needed in retirement? Are they on track to meet their healthcare expenses? Sadly, most Americans, don’t view their healthcare as a financial vehicle. Many don’t have a savings plan in place. The good news is that you, as their employer, can help by providing a healthcare strategy by partnering with your employees to help them achieve their goals. The partnership begins with an honest conversation with your employees about the reality of long-term healthcare expenses. With proper incentives like contributing and matching to both an HSA and a retirement account, the partnership makes solid strides to a more fruitful healthcare outlook for your employees. 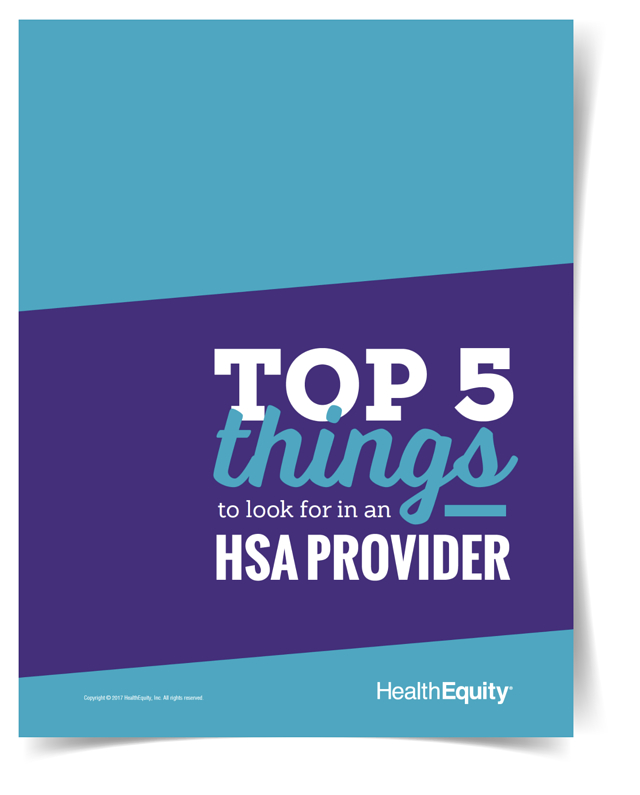 By partnering with your employees and instilling the benefits of the HSA and coupling with an ownership mentality, you’re helping set them up for success. Employers that make the move to a CDHP with an HSA, are in a great position to not only save on their healthcare offering to employees, but to help make real gains to improve their employees’ healthcare picture. HealthEquity does not provide legal, tax, financial, or medical advice. 2Investments are subject to risk, including the possible loss of the principal invested and may not be eligible for federal depository insurance by the FDIC or NCUA or guaranteed by HealthEquity. Before making any investments, review the fund’s prospectus..